The Hatch Shell at the Charles River Esplanade is perhaps the loveliest spot in Boston to enjoy an outdoor concert. It is, of course, the site of the annual Fourth of July celebration featuring the Boston Pops. For the last few years, however, the Boston Landmarks Orchestra has been filling the banks of the Charles with the sound of classical music and has another series of free performances lined up through late August on consecutive Wednesdays starting at 7 p.m. There are five shows remaining in the 2014 season. Bring a blanket, pack a picnic dinner, and bask in the glow of summer sunsets as the orchestra plays ambitious programs, many of which include special guests. On July 30, for example, the Longwood Symphony, an ensemble featuring musicians who work in the medical community for their day jobs, will be joining the Landmark Orchestra for a concert that will include selections from Debussy and Bizet. On August 13, the New England Spiritual Ensemble and One City Youth Choir will join the orchestra to celebrate African American spirituals with Dvorak&apos;s Symphony No. 9 ("From the New World"), The Chariot Jubilee by Dett, and the premiere of Griot Legacies. The series concludes on August 27 with "O&apos;er the Land of the Free: Bicentennial of The Star-Spangled Banner." The One City Choir returns to help celebrate the National Anthem&apos;s anniversary in a program that will also include variations on America by Ives and a recent piece, Chesapeake: Summer of 1814, by Boston-based composer, Michael Gandolfi. 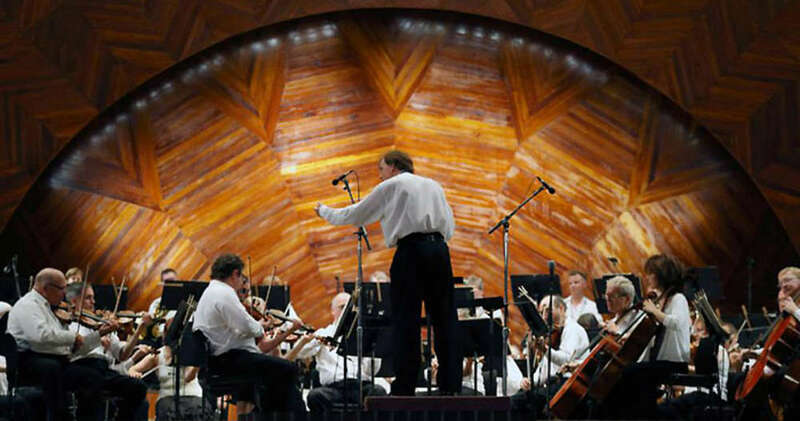 See the complete Boston Landmarks Orchestra Hatch Shell concert schedule.